Moore Guitars has been a destination guitar shop in Southern Indiana for over 40 years! Recently, Moore Guitars has grown into an incredible new retail showroom and has become an international powerhouse with our world class website. In December of 2016, Guitar World Magazine featured Moore Guitars as one of the coolest guitar shops in America. We are proud to be a Top 10 Dealer for Paul Reed Smith Guitars, and have been since we became a dealer in 2013. We are a Breedlove Distinctive Dealer, and have been honored by Mesa Boogie with their Mark of Excellence designation. 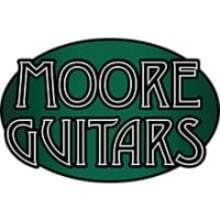 Moore Guitars is also an Authorized Dealer for such industry leading brands such as Taylor, Fender, Ibanez, Godin, Reverend, and much more. We are a NAMM Top 100 Dealer. Our staff is friendly and knowledgeable, and customer service is priority #1. Thanks for visiting our Reverb Shop, we are proud to be a Preferred Seller, Quick Shipper, and a Quick Responder. We go above and beyond Reverb’s policies when it pertains to guitars. Our 48 Hour Risk-Free Return Policy states that if you don’t like the guitar for any reason, contact us within 48 hours of it being delivered to your door and we’ll pay to ship it back! So, find your guitar on here and order it with the peace of mind that you will be totally satisfied with zero risk! We’re your new favorite guitar shop…but don’t just take our word for it, let us prove it! Be sure add our shop to your feed, we are adding killer new gear daily! 15% Off NOS 2017 PRS Guitars!